Over the last few months I have been working closely with Elinchrom on marketing materials for the release of the new Skyport Plus HS transceiver and the ELB400 HS flash heads. Elinchrom flew me over to their headquarters in Lausanne, Switzerland where I was introduced to the new products, given a quick tutorial and was allowed to test them out. 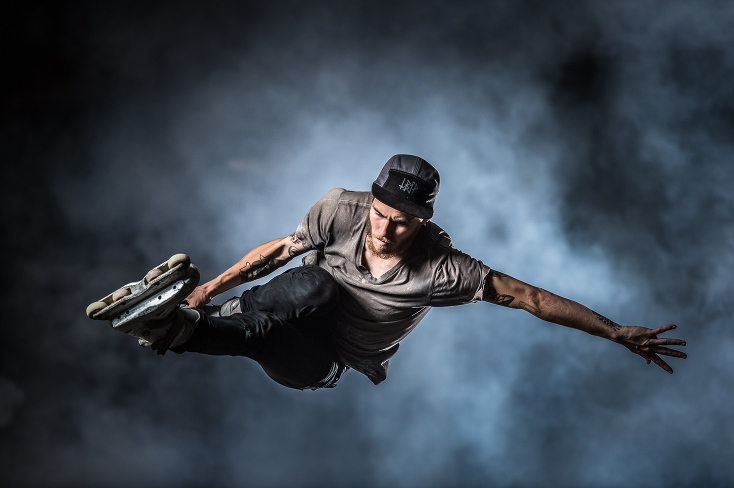 The next day I put on a demo for around 80 Elinchrom distributors from around the world, which resulted in the image you see above of Maxime Genoud in-line skating in an indoor skate park. The Skyport Plus HS has made a big splash but I suspect that for many photographers they won’t fully understand the level of freedom and creativity this new product allows for when shooting with strobes until they try it themselves. Over the last few months I have been shooting with the ELB400 kit, the HS flash heads and the new Skyport on just about every shoot I have had. This new product has completely changed the way I think when using flash because it allows for complete freedom. As part of the marketing materials for the launch of this product, I wrote two in-depth blog posts for the Elinchrom Blog. The first, entitled Hi-Sync Experience, went live on the Elinchrom blog with the announcement of the new Skyport and HS flash heads. 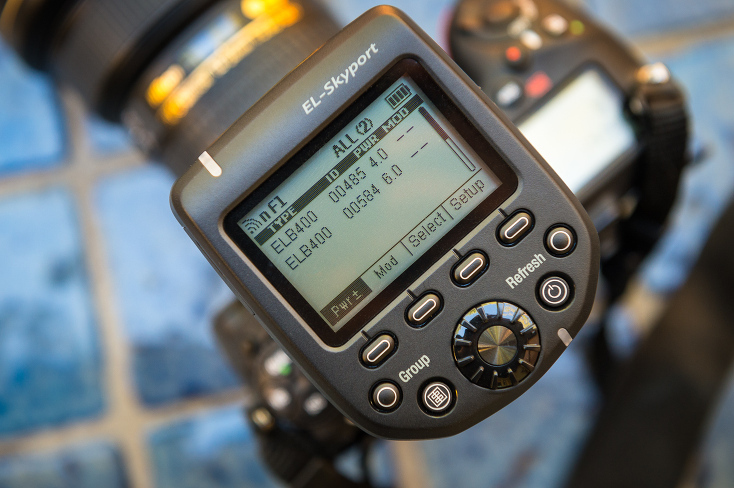 The second article, entitled HS or HSS: What’s the Difference, went live a few days ago and explains how the Hi-Sync technology built into the new Skyport Plus HS works and how it compares to High Speed Sync (HSS) and HyperSync. 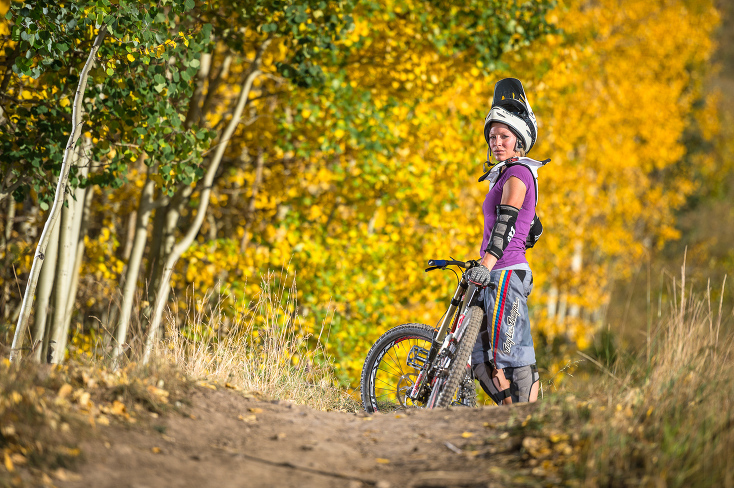 Above is an image I shot of downhill mountain biker Aurelie Slegers while in Telluride, Colorado at the Telluride Photo Festival. These images were shot with the ELB400 Pro flash heads showing that even with the existing flash heads amazing results are possible using the Skyport Plus HS. In my experience, Elinchrom exceeds in all of the technical aspects of strobe technology. It isn’t always easy to communicate the advantages of their technical approach to lighting, even though they are doing a great job with their communication. The new Skyport Plus HS will be a revolution in a few key genres of photography, mainly the action adventure genre and also for portraits and fashion because using high shutter speeds allows for stopping the action and also using large aperture, thereby creating a very shallow depth of field. Because there is a lot of confusion with Hi-Sync and HSS technology, I will be doing a fair amount of testing on my own to show exactly how Hi-Sync compares to the competition. Stay tuned for future reviews, blog posts and articles on this exciting new technology. For now, check out the two blog posts linked to above on the Elinchrom website for more information. My thanks to Elinchrom for bringing me over and showing me all of the new products – and also for providing the gear to try out this new technology. I was massively impressed with everyone at Elinchrom. I also got a few hours to go deep into the thinking behind the products with the head R&D guys. I came away from my time in Switzerland incredibly excited about Elinchrom as a brand and the new products.